Let your recipient feel on top of the world with the Atlas Award! Each piece is an individual work of art. Size and color will vary. 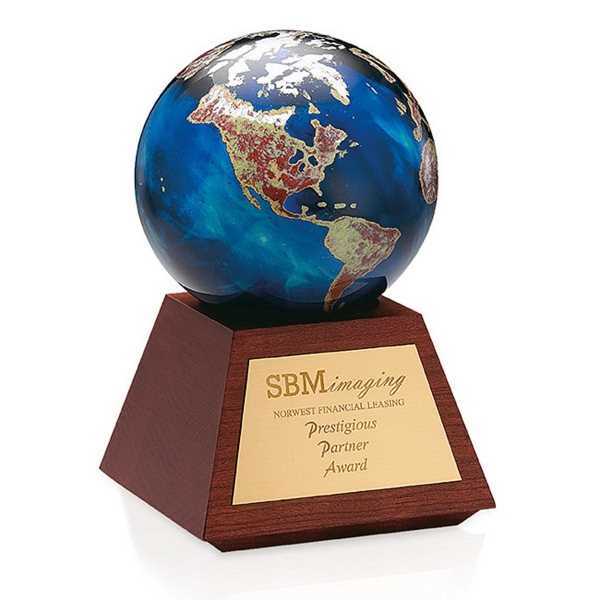 The USA-made award is 4-1/4" diameter, with the base at 4-1/2" W x 3" H x 4-1/2" D. Our laser engraved imprint of your logo and message beautifully displays their honor and your brand exposure. Free 24-hour service. Excellent for global sales achievements and partnerships. Bestow the world on those who merit it!